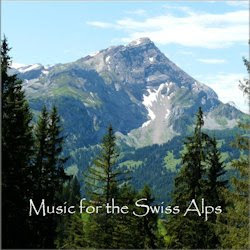 I am very honored that one of the artists featured in Music for the Swiss Alps actually left a comment. I am very pleased that you like the mix. I hope I was able to do some justice to your work--which is excellent! Thanks again! Excelente compilacion,mas que quedar en los alpes, nos lleva al cielo directamente. I'm downloading it now, and from the looks of the track list I know it will be very enjoyable. I was listening to MftSA this morning and thought I should let you know it has become one of my favourites. Keep up the great work! I'm really trying to figure out the name of a track on here. It comes in at 25:00, violin, horns, very haunting. Amazing piece. I'm guessing it's "Island" by Philip Glass, but I can't seem to find another source to confirm it. A wonderful mix... so wonderful that I've linked to it in my blog. The selection of the tracks is very appropriate.